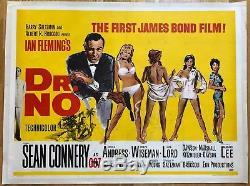 A linen-backed original UK Quad poster for the first James Bond film Dr No. 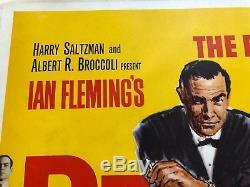 Few could have imagined the future development of the Bond franchise at the time and subsequently this iconic film poster has become one of the most desirable there is. 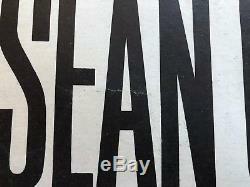 Printed by Stafford & Co Ltd in 1962. Ssued for display and advertising purposes only. This is NOT a reproduction and is guaranteed authentic. It has seemingly never been displayed. And has been in my family since the late 1960s, having only recently come to light again. Quad poster measurements are 30 x 40 (76 x 102 cm) , whilst the linen backing adds a border of almost 1 to this. In terms of grading Id say 7 out of 10. Originally machine folded, it now displays beautifully despite some blemishes. Wrinkles/tiny rubs to lettering of actor credits: A of Sean; second N of Connery; A of Andress; Wrinkle at the ankle of woman on the right. Also a tiny rub on N of Technicolor. Repair: small tear and fill in paper repair, with a close but not exact matching yellow dot. 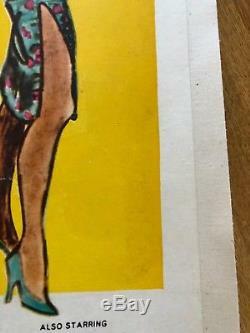 Between the legs of the women facing away picture 9. 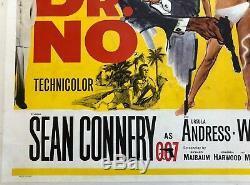 The poster retains bright colours, shows no yellowing to the white areas. However there are some slightly areas affected by the environment it was stored in for years - most notablyto the right of the small illustration of Connery and Andress, then in places horizontally across from here: between the womens legs and at the yellow edge at far right (very faint); the area around Jack Lords credit; on the fold line below the wording James Bond; above the D in Dr and between the title letters, and again at Connerys right shoulder. Some of these negatives are very faint and only very apparent on close up, but please scrutinise the pictures and request additional ones should you require. Rarely does this poster turn up in excellent condition. 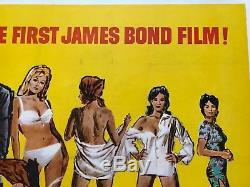 The item "James Bond DR. NO Original 1962 UK Quad Film Poster Sean Connery 007 movie" is in sale since Sunday, February 3, 2019. 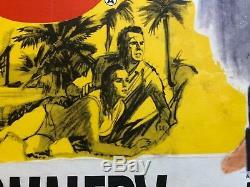 This item is in the category "DVDs, Films & TV\Film Memorabilia\Posters\Originals - UK Quads\Pre-1970". 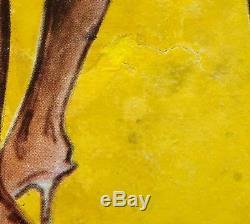 The seller is "tickyra" and is located in Brighton, East Sussex. This item can be shipped to United Kingdom.